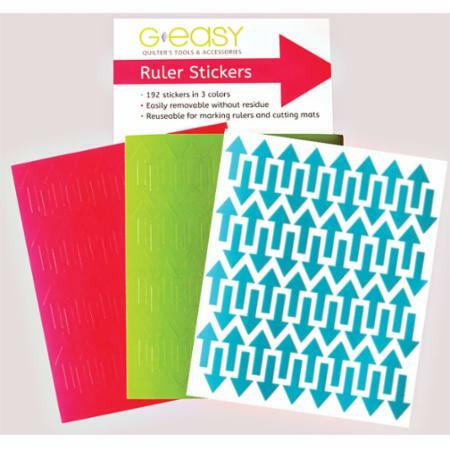 GEasy Ruler Stickers. 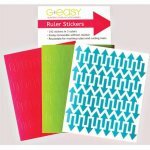 Arrow stickers in 3 bright colors contrast with different fabrics and cutting mats so you can easily mark your rulers, templates, cutting mats and more! Use the arrows to quickly identify the lines you need to use on your ruler. Use different colors for different cuts. You can write on the stickers with a permanent marker. 192 stickers in 3 colors, easily removable without sticky residue and reusable.